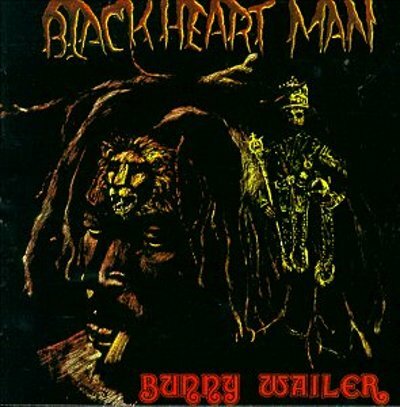 Any music fan should own Bunny Wailer’s Blackheart Man. It is an unbelievably soulful album full of conviction, passion, and truly great musicianship. I would easily put it in a list of greatest reggae albums of all time, but it deserves exposure with fans outside of its genre. The playing and production are astounding. When I listen to the album I am constantly reminded of a beautiful mosaic. Lots of little pieces are put together to create a striking larger whole. The record is full of interesting musical textures. You almost feel like you could run your hands over it. This is recording as art form. It’s not simply trying to convey a message or song, but painting with sound. The keyboards alone are some of my favorite on any record. One song begins with acoustic guitar. The acoustic is manipulated ever so slightly, so that it becomes an interesting texture, something unique. It is like they left no detail unnoticed in creating this record. Bunny Wailer’s voice is truly a beautiful thing. It’s mellow, but there is a real stoicism to it. You get the sense that he could weather any storm. When the record touches on the political, and it is a spiritually political record, he sounds like the peace he wants to see brought about. You have no doubt that Wailer will outlast any opressors. The lyrics are great, but it is really the way that they are delivered that gives them their magic. This is the kind of record that could change conciousness. If you love soul music, music for the heart, soul, and intellect, than this is a must. I mentioned that a musician I know turned me onto the album Heart of the Congos by the Congos, which is produced by the great Lee “Scratch” Perry. I think the above link describes why this is perhaps the greatest reggae album of all time, and one of the best albums of all time in any genre. The article linked to above not only does a great job of this, but has some other truthful comments on music and production in general. It’s also a great piece of criticism because it makes you understand why something is important in the history of the art form, why it deserves your time as a listener, and on top of that it uses language to create original ideas that add to the appreciation of what it is talking about. It’s a great piece of writing and worth your time if you love music and music criticism. Tonight I had a couple good laughs watching the medieval horror/thrill Black Death. The movie was not an intended comedy, nor do I mean to make light of the film or to say that it was intentionally funny. But once you have seen Monty Python and the Holy Grail, it is hard not to remember it when there is anything to do with the Black Plague or witch burning. This is not the fault of the filmmakers. The movie itself is unique, interesting, and gritty. Although it pulls from other films like The Wicker Man, it puts things together in an original combination. The film stars Sean Bean and Eddie Redmayne. Redmayne plays a young monk during the bubonic plague in the 1300’s. His monastery is wracked with the dead. He has a secret love of a girl in the local village. Due to this he secretly wants to leave the monastery and the death that surrounds him. When Sean Bean, who is a knight in service for the church, says that he needs a guide, circumstances drive Osmund, Redmayne’s character, to lead Ulrich, Bean’s character, on a journey. They are searching for a village that has not been touched by the plague. They believe it has made it untouched by the plague due to a necromancer and black magic. The movie treats the situation as realistic, from the viewpoint of the people that are living in that time and place. The viewer does not know until late in the movie if there is any supernatural element to the movie, or it is just the superstition of a backwards religious people. This is a dark film, with gritty violence and all manner of barbarism carried out in the name of religion. It is suspenseful and bleak. Torturing and many forms of dismembering take place throughout the film. However, Hannah Arendt once said, “that the horrible can be not only ludicrous but outright funny.” As Monty Python demonstrated, through the clarity of hindsight, the beliefs of those times are completely absurd and ridiculous. Although the characters may or may not be dealing with the supernatural, I don’t want to spoil anything, you know that they are largely on a fools errand. When local villagers want to burn a woman at the stake for supposedly putting a curse on the local water supply, one can’t help but feel, knowing such things happened, as being a complete folly. The actions of many of the people in the movie are so absurd, yet realistic, that is somehow passes through the looking glass and becomes somewhat of a comedy of human behavior. I don’t want to portray the movie as a farce. I’m not even saying that the movie depicts the actions of these people with anything other than serious. However, it is because it is so straight that you realize just how absurd this behavior is. When a character is drawn and quartered it is completely horrific. Yet once upon a time our ancestors did that kind of thing. Watching the film I couldn’t help but wonder why this time period is depicted in more movies. It is strange and horrifying enough to be almost fantastic, yet interesting because it is not fantasy. This movie takes liberties with the time period, and the story itself is fiction, but many of the things that people do to one another, many of the beliefs, are real. I found this movie to be entertaining, gripping, interesting, and yes funny at times. It is also batshit insane. When they are venturing out to find the possibly supernatural village they come across men walking down a stream whipping themselves and carrying a large cross. These people are punishing themselves to make penance with God. They warn the main group not to go any further. If these are the people warning them, what kind of further insanity waits down the road? Although this movie is first and foremost a horror movie or thriller, it does ask questions about the nature of evil, religious belief, and human nature. One can’t help thinking about what is going on in the world currently due to religious strife while watching it. It is entertainment with intelligence. It looks and feels differently than the typical Hollywood movie and that is because it was filmed in Germany, even if it has several stars in it. 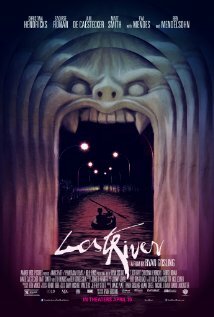 The camera work and art direction is gritty and realistic, though gothic in fitting with the time period. Tragedy plus time equals comedy. While I watched this film I couldn’t help but wonder what actions of modern times will look completely ridiculous to those hundreds of years in the future. * This quote may be slightly paraphrased. It was late, we were already watching something else, and my internet searches came up empty. If not exact it gets close enough to the original’s intent. The above New York Times article is the best review I’ve seen yet of Brian Wilson’s new album, No Pier Pressure, based on what I have heard of the record so far. All of the other reviews I have read have been either completely shallow, or seem to not be interpreting it correctly given his discography. I am still forming my thoughts about the record and will write about it more at some point. In the meantime I think that this is a good place to start reading about the album if you are interested in it. That all being said, the music is fantastic. Gabriel is a great songwriter with an incredible band. The arrangements are exciting and inventive. The playing is top-notch. The range of emotions expressed runs the gamut. I am a genuine fan of his and I keep waiting for him to put out a new album of original music. If you are looking to watch a concert that is genuinely entertaining, this is one I can’t help but recommend. In fact it is probably one of the most entertaining I have ever seen. It’s absurd, ridiculous, artistic, comical, and beautiful all at the same time.